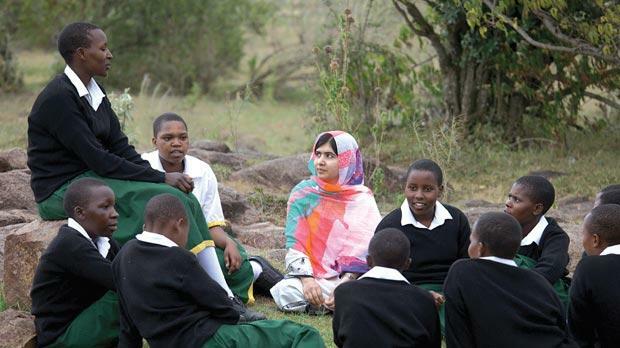 Malala Yousafzai with peers in a Kenyan classroom for a day of learning on her first visit to Africa. Malala Yousafzai, the schoolgirl shot in the head by the Taliban, has made her first visit to Africa to highlight the problem of tens of millions of children growing up without an education. The 16-year-old spent several days talking to girls from rural communities in Kenya about their desire to go to school. “I came to Africa to raise awareness about the 58 million children not in primary school who face numerous barriers to education,” Malala said. 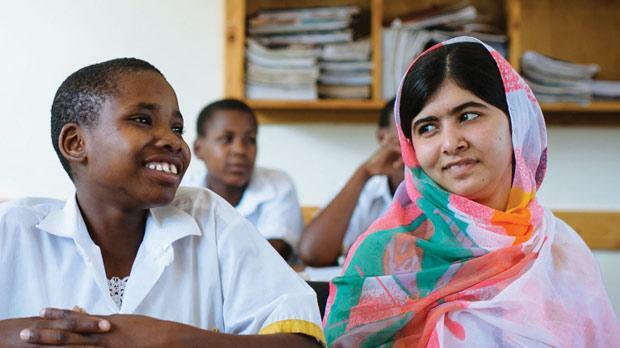 She made the visit on behalf of the Malala Fund, which aims to “empower girls through education”. The teenager, who won hearts around the world after she survived an assassination attempt in October 2012, was accompanied on the visit by her father. They were hosted by international charity Free The Children. 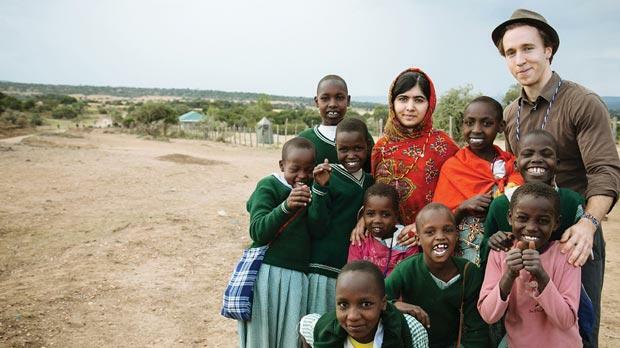 Malala mixed cement and laid bricks to help build a school in South Narok, a region west of Nairobi. Children chanted “Malala” repeatedly after she gave a speech before the local community presented her with a goat, a mark of respect in Maasai culture. Malala with the co-founder of Free the Children, Craig Kielburger.